In this introductory lesson, you’ll learn why good research skills are necessary for effective writing. You’ll unleash your creativity with the exciting “Mind Mapping” tool to identify your subject—in both a general and specific way—to help refine your research before you even begin. You’ll also learn the importance of understanding jargon and technical terms specific to your subject, which will leave you much better prepared to begin your project. You probably already know that much time can be wasted if research is conducted in a disorganized manner. In this lesson you’ll learn how to organize a plan for your research and how to keep organized once your research is underway. 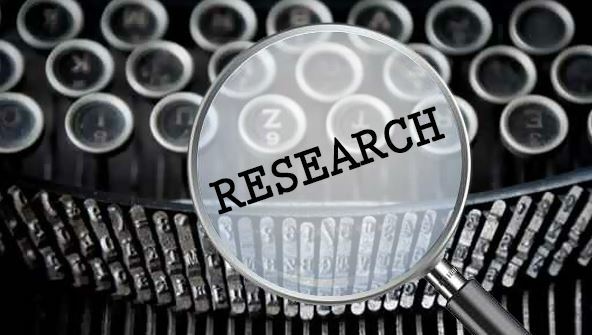 We’ll identify the first steps of research, including choosing between academic and anecdotal research, primary and secondary sources, and which resources will be the most productive for you in the early stages of research. The library is still the most all-inclusive resource for research, but many people aren’t aware of the treasure trove of information residing within its walls. This lesson will take you on a virtual field trip through the many library sections and departments, introducing and reviewing the materials available, including periodicals, microfilm records, Lexis-Nexis, rare books, reverse directories, government reports, maps, old telephone books, and many others. You’ll discover resources that you never knew existed. One of the most productive resources for researches is the personal interview, but it can be intimidating. In this lesson, you’ll learn how to find experts and how to prepare for an interview. You’ll learn the keys to formulating questions designed to get the very best from your subject. By the time you finish this lesson, you’ll feel confident and competent to approach your interview subjects with ease. Perusing reports can seem about as much fun as a root canal, but it’s worth it when you find nuggets of information essential to your research. This lesson will introduce you to numerous valuable reports, including census reports, public company reports and a multitude of government reports. You’ll learn how to separate the wheat from the chaff, winnowing out the pertinent information, and how to assess a report not only for its content but also for the reliability of its source. As a bonus, you’ll be given some guidelines for turning statistics into prose. Lesson 6- History: Fact or Fiction? In this lesson, you’ll learn how to incorporate history into your writing, whether it’s fiction or nonfiction. You’ll discover what you’ve probably suspected all along: the truth of history is often shaped by the perspective of the historian. This lesson will teach you how to evaluate different perspectives, how to spot “rewritten history,” and how to zero in on fact versus mythology. Today’s lesson will introduce you to the numerous public records that are waiting to reveal information about persons, places, and things. Real estate records, birth, marriage and death records, civil and criminal trial records, bankruptcy filings, construction records, and political campaign information are but a few of the many records available to the public. By the end of this lesson, you’ll know what’s out there and how to get to it. Conducting research on the Internet can be a valuable time-saver. It can also allow researchers to fall into the trap of believing everything they read. This lesson will discuss Internet reliability: what you can trust and what you should mistrust. You’ll also learn skills for effectively using search engines for your research, for both general and specific topics. You’ll find many useful research links, and we’ll discuss issues such as when you should and should not pay for your information. The Internet has as many pitfalls as benefits, and this lesson will show you how to avoid the pitfalls. Some researchers can’t resist the lure of using information that has never before existed. This lesson discusses the value of collecting your own data by way of surveys, studies, interviews, polls, and questionnaires. You’ll learn how to effectively create these instruments of data-gathering, and you’ll learn the difference between valid statistical sampling versus informal, nonscientific results, and when the use of each is appropriate. Have you ever had difficulty finding cooperative sources of information? This lesson will reveal the secrets of Guerilla Research; i.e., how to get answers when the questions are being evaded. You’ll learn techniques for gaining the confidence of reluctant interview subjects, as well as methods for digging and snooping. In other words, you’ll learn how to get what you want when the direct approach isn’t working. Once your research has been compiled, much of it will be quoted or paraphrased within your manuscript. In today’s lesson we’ll discuss the importance of proper attribution as well as the technical methods for crediting your sources. You’ll learn how to painlessly create a bibliography, and you will also learn how to decide between citations, footnotes, and endnotes for your work. You can easily avoid copyright violations by gaining a basic understanding of copyright law, along with the fundamentals of fair use and permissions. Writers know how important it is to protect themselves, and in this lesson you’ll learn how. Your research is complete, your facts are gathered; now what? In this final lesson, you’ll learn what to do with all the research materials you have accumulated. You’ll learn how to identify what is valuable and what should be discarded. You’ll gain insight on both the writing and the editing process, and as a bonus, you’ll learn how to avoid some of the most common word-usage mistakes. This lesson will give you the final skills you need to produce a well-researched, polished manuscript.